This dish is perfect for all seasons! When it's too hot outside to warm up the house with the stove and oven, your slow cooker steps in to do all the work. When it's bitterly cold outside, the recipe that follows provides you with a hearty bowl of warm and comforting soup. Best of all, there's no frying or sautéing required beforehand. Just dump all your ingredients in, and then wait for that soup to hit the table. 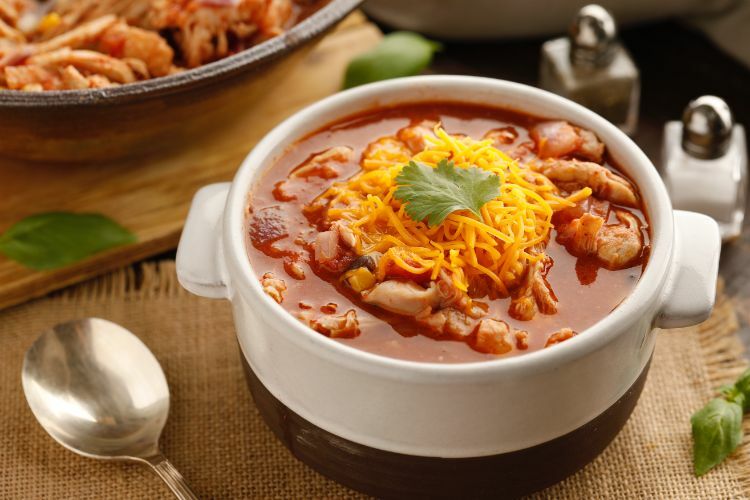 With this soup you get all the delicious flavor of chicken tacos, but in soup form. Black beans are in there along with corn, taco seasoning and, of course, chicken. This recipe uses chicken thighs, as they tend to stand up a little better to the long cooking times the slow cooker requires. Because it's a soup, toss in whatever you need to use up from your fridge. It's totally adaptable! 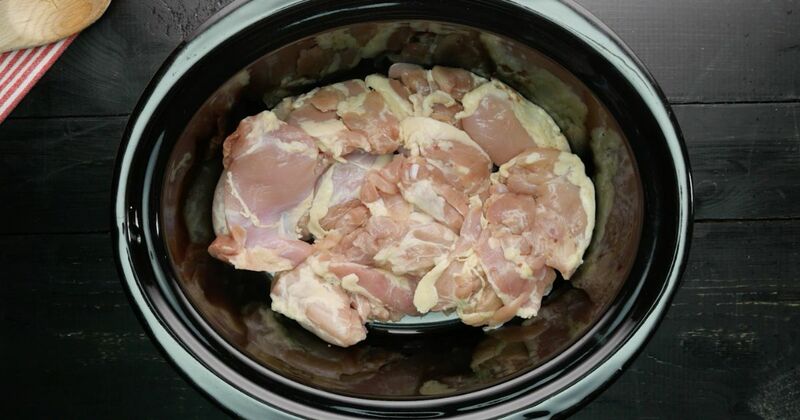 Place chicken thighs into the bottom of a 6-quart slow cooker. Add red onion, black beans, corn, tomato sauce, diced tomatoes, water and taco seasoning. Stir well to mix all ingredients together. Place lid on slow cooker and cook on low for 5 hours. Remove chicken thighs and shred. Place them back into the soup. Place lid back on and cook for another 30 to 40 minutes, until everything is heated through and the chicken has absorbed the flavors of the soup. Ladle soup into bowls and top with cheddar cheese and cilantro, if using.